john is actually still living in kansas city. it's just his music that sounds californian. Huh. I could have sworn I read somewhere when doing this review that he relocated to California, but I guess I was mistaken. Just went and listened and his music is very good. I did pull this statement off of his myspace page. John McKenna, the former lead singer of beloved KC rock band Red Guitar, recently moved to California and fine-tuned his sound. 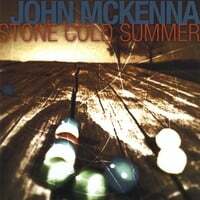 His new solo album, Stone Cold Summer, has a sunny sensibility that is unmistakable. Then it goes on to say the new cd sounds like his new California lifestyle. Thanks for the clarification, Bryan. I didn't think I was hallucinating his move to California.